very handsome foliage, providing large fruit of very good flavour. Season - September in to October. Ripening in large clusters to give a very heavy, attractive crop. 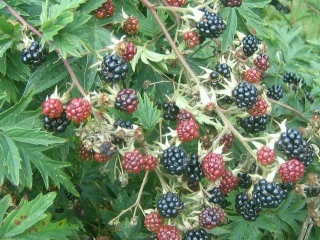 Derived from the wild European blackberry Rubus Laciniatus.